A suitable Asian wedding venue for everyone.. The Asian wedding venue you choose for your wedding is one of the most important decisions you’ll have to make, and when it comes to this choice the world is your oyster. Naturally there are a number of factors that will affect this decision. Most importantly, you’ll need an Asian wedding venue that’s the right size for the number of guests you wish to invite to the Asian wedding. Too few guests in a vast hall looks as bad as too many crushed into an intimate restaurant. There’s also geography to think about; you might like the idea of a baronial wedding the Scottish Highlands but if most of your family live in London, they might not be so keen to head north en masse. And then, of course, there’s the budget to consider. Don’t blow all your money on a fancy hotel for the venue if it means you have to skimp and save on everything else. Can’t decide? need professional help? OccAsianZ = Expert advice and plentiful contacts!! 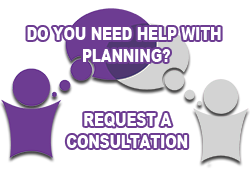 Luckily, should you choose one of our planning or search and liaison services, your OccAsianZ Asian wedding planner will be on hand to help you out with this momentous decision. They will be able to suggest a range of suitable Asian wedding venues that fit your criteria and your proposed budget. Our long years of experience in the business have enabled us to build up a bulging contact file and we have relationships with hotel groups, banqueting suites and popular independent venues up and down the country - we have many more venue than we have room to show on our website! Benefit to you? We are in a position to negotiate preferential rates on your behalf, making sure that you get the best value for money on this major budget element. 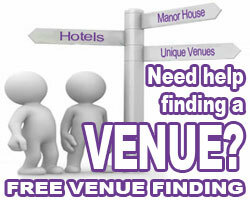 Alternatively, OccAsianZ offer a Free Venue Finding Service – simply complete our online Venue Finding Enquiry Form and we’ll be sure to come up with some suitable venue suggestions for you to contact directly. Whichever method you choose, find the right Asian wedding venue, and you’re well on your way to a wonderful day!